In honor of Earth Day next Wednesday, I'd like to introduce Kuttlefish, a global community that officially launched just last month. All about reducing waste, the site features items made of reused, recycled, and upcycled materials. Be inspired by clicking through project images that others have shared and upload your own creations. Discuss eco-friendly ideas via forums, shop for recycled goods, and sell your own... every angle of doing Mother Earth proud is an option via Kuttlefish. CEO and Founder Ian Moise sent over links to ideas for recycling common paper items that have been posted on the site to date... I was curious to learn more about several of my favorites. 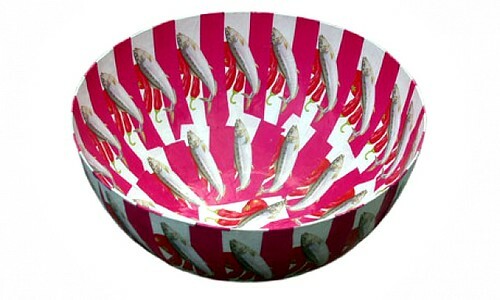 The women of Wola Nani in Cape Town, South Africa create colorful paper maché bowls from upcycled office paper and - get this - discarded sardine can labels. Wola Nani is an non-profit organization that has been assisting communities hardest hit by the HIV crisis for the past twenty years. They make beautiful things! See more here. 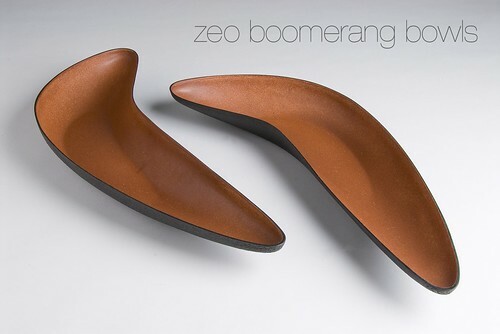 ZEO, based in Australia, utilizes their patented material ZEOFORM to create a variety of useful objects. Composed of raw cellulose, it is extracted from recycled and reclaimed papers, industrial hemp, discarded natural fabrics, and waste and renewable plants. Similar in appearance and strength to hardwood, ZEOFORM is made with no glues, binders, chemicals or additives. Think of it as an eco-friendly replacement for wood and most plastics - exciting and impressive! 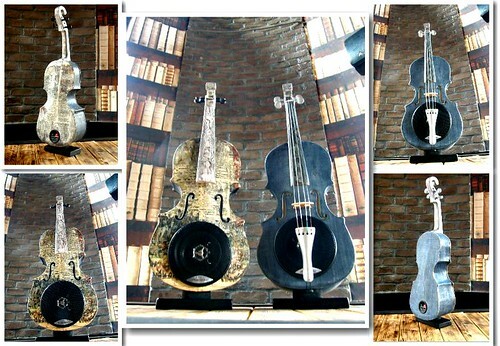 Chris Tsonias and Areti Karra of Art Eco Art in Greece are a couple whose passion for art and sensitivity for the environment led to their creating artistic, yet fully functional, musical instruments from recycled materials. 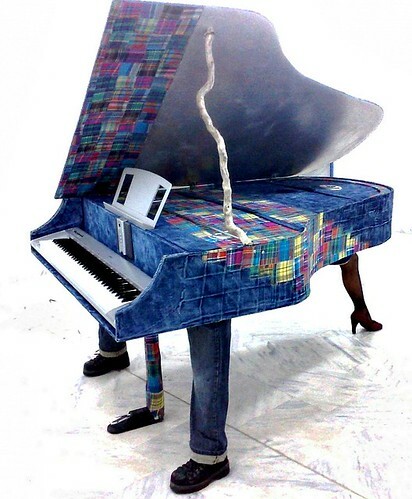 Soft and flexible items such as old newspaper, cardboard, and fabric have been transformed into a piano, violins, cellos, percussion and wind instruments. They also make loudspeakers almost entirely from used paper and textiles that look like musical instruments. 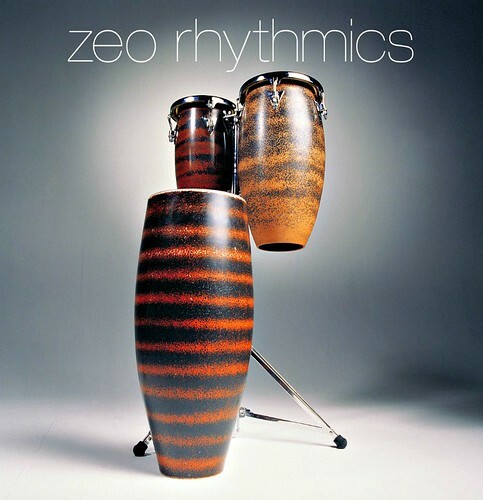 Visit Art Eco Art to see and hear the Arteco Band in action. 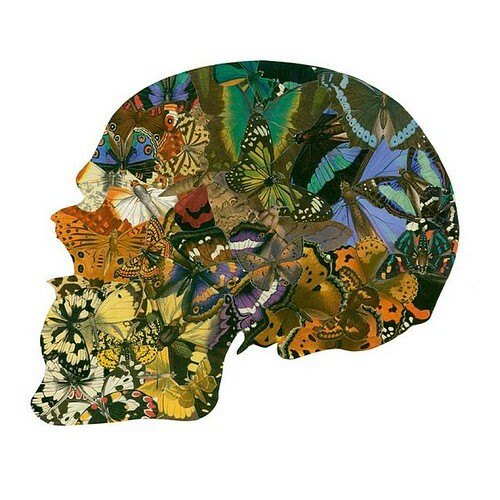 Last, but not least, Burry Buermans, a self-trained Belgian artist in Portugal, creates lovely and unusual collages from images sourced from old books, magazines, and papers. Visit Kuttlefish and search the Inspiration feed to see hundreds of ideas for recycling everday paper items. Then feel free to join the community to share, buy, and/or sell your own examples.